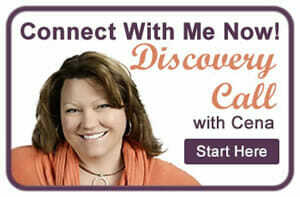 I'm Cena Block, and I'm an ADHD Lifestyle Business Coach and productivity expert. I'm a professional facilitator, coach, author, and speaker who helps service business owners struggling to 'manage it all'... DO it all in the time they have! In 2008 after a break from corporate to raise my young children, I founded SaneSpaces.com and in 2012, I launched the Time & Space Style Inventory™, the premier time management and organizing personality style on line assessment. This online assessment provides a starting point for coaches, organizers, consultants and educators who helping those struggling with staying organized and managing their time. My coaching niche is high-performers! I love working with high-energy professionals (both men and women) with ADHD (diagnosed or not). With today's busy lifestyles, most people feel as though they have ADHD regardless! But, I found after working with entrepreneurs for years that those who struggled most with getting organized and staying productive had the special challenge of battling with their own ADHD symptoms. I have a sweet-spot for working with mom entrepreneurs because I am one. Since I believe being a mom is the most important job you'll ever have, I am deeply committed to partnering to help mom entrepreneurs live and work powerfully, make more money, and carve out time to support busy, thriving, successful kids. Entrepreneurs in the emerging business ramp up phase to advancing growth phases of business get great results with me. Many of my clients are in the later stages of life, having enjoyed long careers, and are looking for some new way to bring their talents, specialties, and passions to the world. I specialize in helping those who've already launched and are looking to regain their time, optimize marketing, tighten up branding, increase sales, implement systems and raise their profit margins. Coaching allows you to set reasonable goals, remove obstacles and deepen your awareness. Accountability is shared in a coaching relationship. Integrity is enhanced and your results will sky rocket. Whether you work with me privately or join a group, you benefit from my training, coaching and certifications I've earned along life's way. I follow a proven step by step process to help you discover and declare your business vision, and align your marketing with your values and offers. This helps you attract more ideal clients, create savvy systems, take care of yourself, and develop supportive relationships around you so your business becomes more profitable and fuels the dream lifestyle you desire, by design. Many of my clients identify with "sandwich generation', stuck between growing children, and older parents. As such, my ideal clients typically want their businesses to support their freedom and flexibility first. This way they can have ultimate control over their schedule and take the time they need to live their lives. They also want to deliver their services through a powerful, transformational and profitable business model. My clients are smart, educated, sophisticated, professional and experts in their zone of brilliance. They often struggle with managing all the details which causes undo stress. They often skip marketing and some struggle with sales. 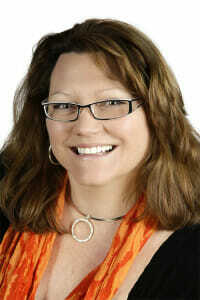 Business owners and professionals living with ADD or ADHD. They are creative, high performers, and know they CAN do whatever they set out to accomplish, but have trouble prioritizing and completing things on time. They lack systems, big plans, and regular routines which make them feel out of control. They are not sure how to bring all the pieces and parts together so their life 'feels' right and fits their many passions. Through deep awareness and informed action, clients gain clarity, align their business and expertise puzzle pieces, increase their productivity, attract ideal clients and create time to enjoy their lives and businesses again. The process of working together ignites their passion to make a difference in the world through their business and within their sphere of intimacy. After working with so many clients with ADHD, we use this method to create a way to talk about how ADHD is working for and against them. With clarity clients become much more productive. A flexible framework simply means learning how you work best and stay motivated so your systems help you stay engaged on what matters most. When it's time to work, instead of coasting and wasting time, clients learn individual self-monitoring habits and hacks to repattern unhelpful past times and work more diligently, reliably and responsibly toward their goals. I developed the Time & Space Style Inventory (TSSI™). This is the first online assessment to help people understand their natural style of time management and space organization. Individual style reports serve as a starting point for coaches, organizers and educators dedicated to helping those who struggle with organizing space and managing their time. This online assessment tool and membership site provide a starting point for coaches, organizers and educators dedicated to helping those who struggle with organizing space and managing their time. I've written a few publications: The Time & Space Style Inventory Style Guide: The Professional's Resource, Time To Toss It, and Getting It All Done in The Unstoppable Woman’s Guide To Emotional Well Being. And I enjoy speaking at engagements centering around women, work-family balance, career, confidence, self-development, productivity and leadership. My career background encompasses curriculum design, management training, leadership, performance and organizational development. My areas of expertise span from productivity (time management, organizing and optimizing workflows), to teaming, leadership, communication, presentation skills, and facilitation. My workshops are designed to combine self-assessment, wellness practices and success principles that guide attendees to take powerful action and enhance awareness. My professional expertise comes from more than 25 years of human performance development in the areas of, change management, supervising, career coaching, management skills, performance coaching, training design and delivery and entrepreneurship. I also hold certifications and accreditations in many world-wide training and coaching programs.Before leaving corporate, I led employee engagement initiatives, directed performance planning, managed staff, and implemented improvement initiatives for an employee base of more than 28,000. I am master-certified as a facilitator, and working toward COC coaching accreditations which I expect to finish in 2017. I achieved both my BS and MS in Communications from Ithaca College and am certified in many human performance systems (ODI, Inside-Out Coaching, Behavioral Technology, Organization Development Inc. and many others). As a professional organizer, I have worked with chronically disorganized populations and those who struggle with ADHD, OCD, PTSD, TBI and other brain-related conditions. While working as a professional organizer, I served as president of the Northern NJ Chapter of National Association of Professional Organizers, (NAPO NNJ: 2012 - 2014) & am a member of both Pike County, PA and Greater Scranton, PA Chambers of Commerce. I WANT to save you the time, headaches and heartaches of the failures I've lived (and thankfully survived) through. So take that next step and let's set up a time to talk. I invite you to schedule a complimentary call with me to discuss your needs. Power Office! Making Work, Work! Asana - Using Asana to Organize Your Business and Your Life!